Product prices and availability are accurate as of 2019-04-18 00:22:59 UTC and are subject to change. Any price and availability information displayed on http://www.amazon.com/ at the time of purchase will apply to the purchase of this product. 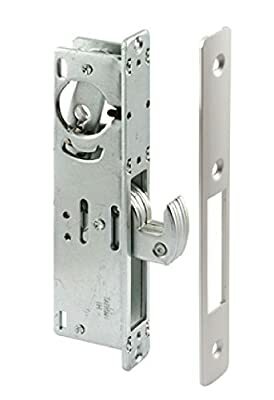 Steel or Aluminum Frame Entry Door Mortise Hookbolt Lock Set- Huge five-ply laminated steel Hookbolt with concealed hardened steel pin provides maximum security. 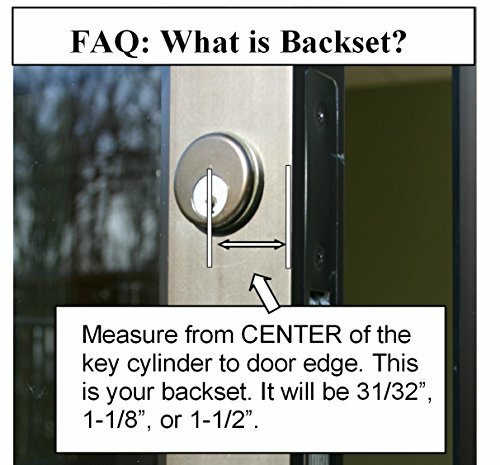 Designed for aluminum or steel framed storefront entry doors. Specifications: Backset: 31/32", 1-1/8" . Face Plate: Width - 1", Length - 6-7/8"Case Dimensions: Width - 7/8", Length - 6", Depth (specific to backset) - 1.63" through 1.78"Deadbolt: Width - 5/8", Throw - 1-3/8"Mortise Deadbolt Dimensions. NOTE: IF YOUR LOCK CYLINDER IS NOT THREADING IN, TRY LOOSENING THE LOCK BODY MOUNTING SCREWS.